Isabelle curls into her mum’s lap, eyes wide with anticipation as the pages of “The Very Hungry Caterpillar” take her through the life stages of an ambitious little butterfly. 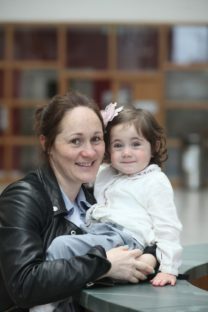 Sitting next to them on the sofa is Jilyn, from the National College of Ireland’s Early Learning Initiative (ELI). Jilyn comes to their home twice-weekly as part of the Parent-Child Home Programme. — Dr. Josephine Bleach, Director of ELI. Working in marginalized communities of Dublin such as the Docklands, the ELI Programme has demonstrated a proven track record for increasing educational development in children. 82% of children exhibited an increase in positive verbal interaction over a two-year period. 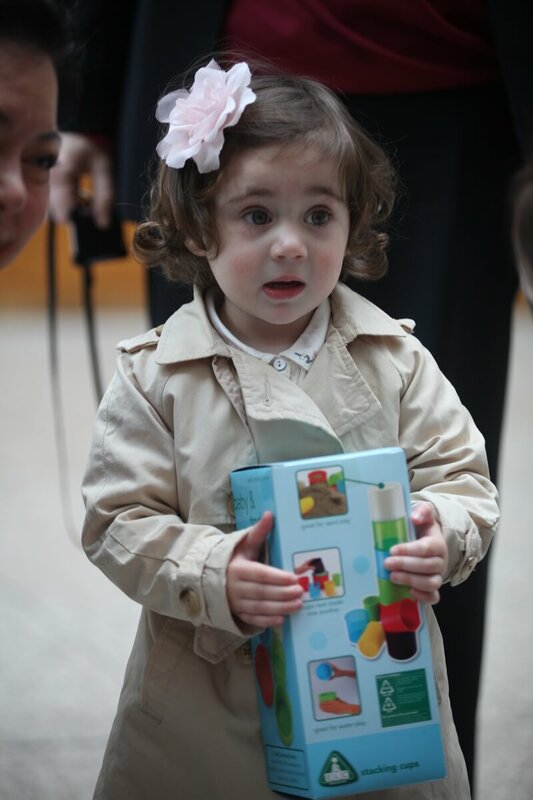 Language skills have been shown to significantly increase and 83% of children meet their developmental milestones once in the program. Research shows that intervention in early childhood is the most effective way of influencing the success of children from disadvantaged backgrounds. Each family receives an average of 48 home visits per year. As a result, trust is built between the parent, the child, and the Home Visitor. To the child it may seem like a terrific hour of play. 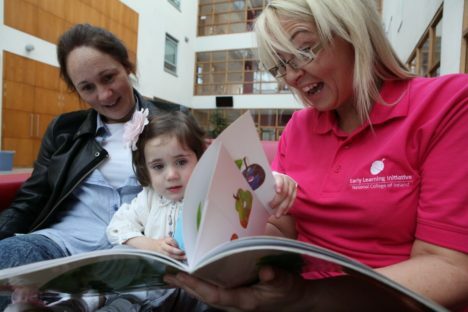 However, Home Visitors are trained and supported by the National College of Ireland’s Early Learning Initiative to teach parents innovative ways to interact constructively with their children. The Flagship grant from The Ireland Funds will provide core support for two more years of the Parent-Child Home Programme. To Isabelle, the baby caterpillar in her book gets big and grows beautiful wings. 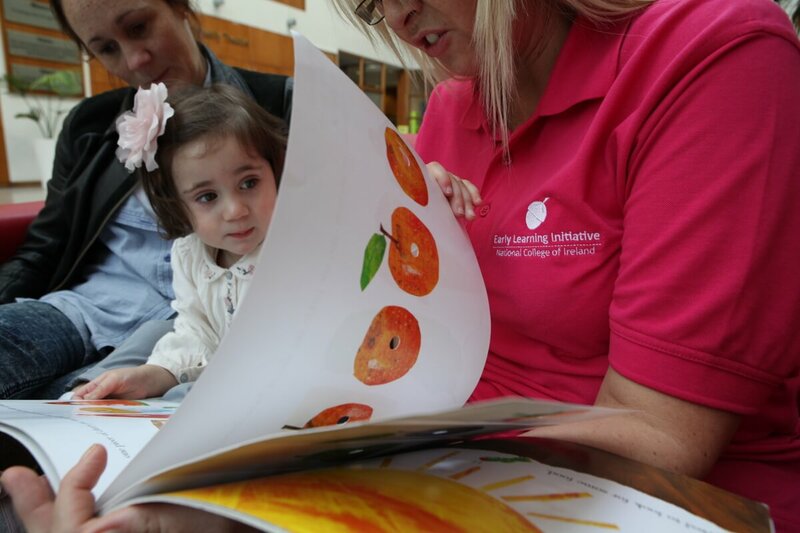 The Ireland Funds believe that early learning is the key to growing educational wings for children in inner-city Dublin and beyond. 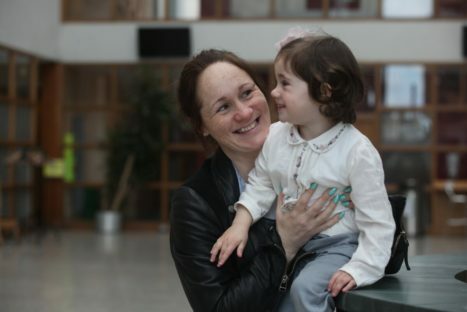 The Parent-Child Home Programme is currently in its eighth year in the Dublin Docklands and has recently expanded into the wider Dublin area as well as into Galway and Limerick.